The World Series of Poker main event final table is coming up, and websites covering the event will be working hard to compete for visitors. Cutting-edge gambling images encourage readers to stay and read what you have to say instead of hitting the back button. By contrast, poorly made graphics may raise questions about the authority of your site before readers dive into your material. A combination of great writing and top-notch icons is a winning hand that can help you get and keep visitors during the lead-up to this year’s WSOP finals. The value of professional graphics is difficult to overstate. With vector illustrations from award-winning designer Alex Belomlinsky, your content will stand out over the competition. The creator of more than 50,000 vector illustrations, Alex has made hundreds of poker and gambling images adaptable to web, mobile, print, television and video media. If your project spans multiple forms of media, vector icons will enable you to keep a consistent look across all of them. Furthermore, individual sets available from Alex offer similar styles among the different icons. This will let you streamline your visual message throughout a variety of poker and gambling topics. All of the vector images load quickly, include JPG versions and are pixel-sharp at any size, including mobile. You don’t need to scour the Internet for the perfect poker icons, nor do you need to spend big. Up to 16 icons are available in a reasonably priced set from Alex Belomlinsky, making this a great value for your poker project. Everything you need is included, and you can even contact Alex to get assistance using the images or to order custom graphics. Enhancing online publications with the best vector icons available is like having a virtual ace up your sleeve. Take advantage of the graphical resources available to you, apply them consistently and reap the rewards. The power and versatility of vector graphics is well known, but impact depends on the quality communicated to viewers. At this moment, you are one click away from hundreds of top-notch gambling and poker graphics you can use in numerous settings. With extensive design experience and several awards for his work, Alex Belomlinsky is a solid choice. 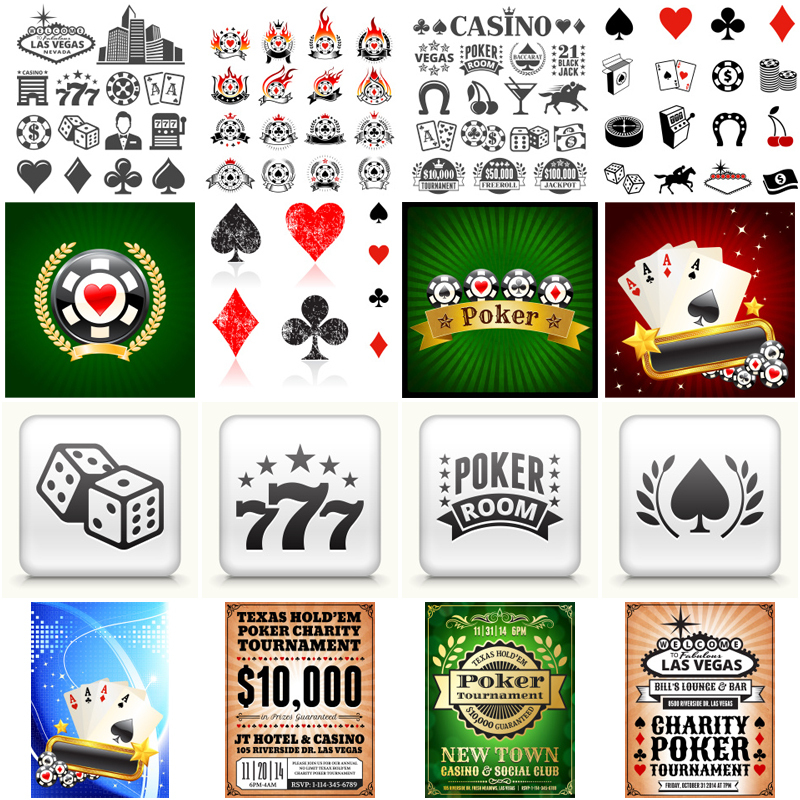 Check out Alex’s gambling and poker icons to see all of the possibilities for your online or offline publication.